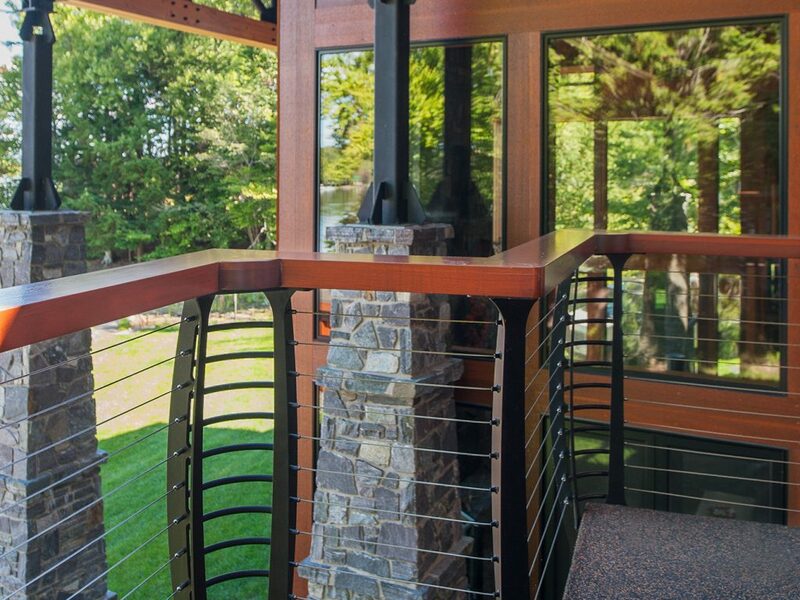 Material and Finish: Keuka Style curved cable railing made of steel powder-coated in "Texture Black." 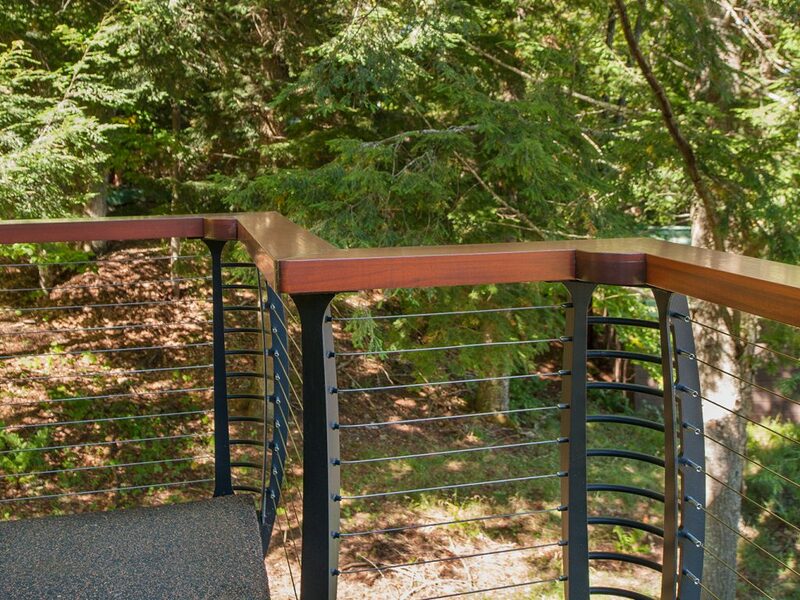 The railing features a mahogany top rail. 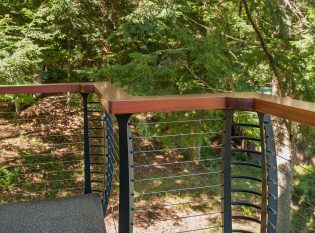 Description: Keuka Style curved cable railing. 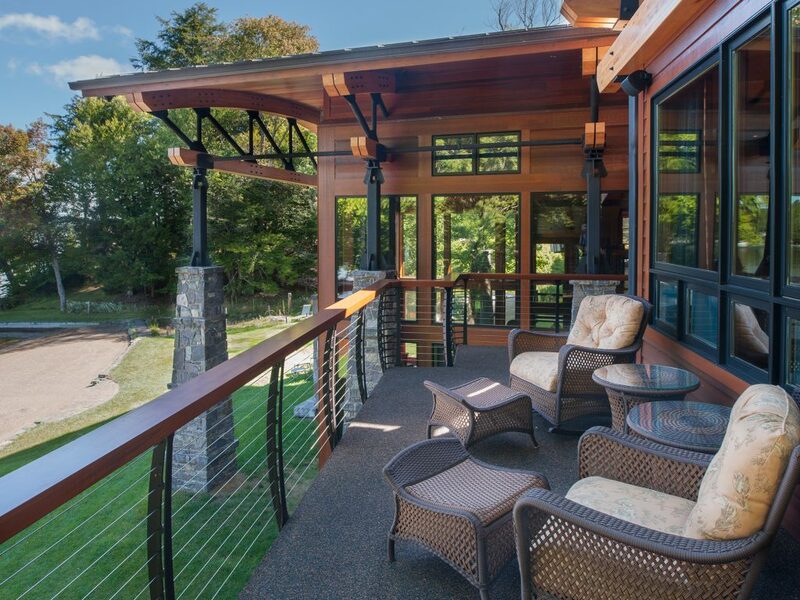 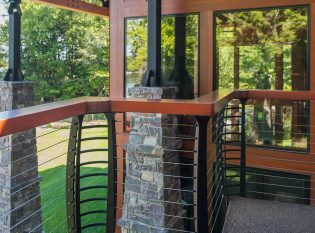 This home situated on one of the Adirondack Mountains’ pristine lakes features the our Keuka Style curved cable railing with mahogany top rails. 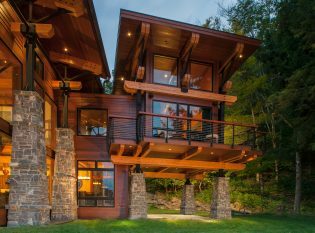 The secluded mountain residence harmoniously blends in with its natural surroundings and reflects the individual style of the homeowner. 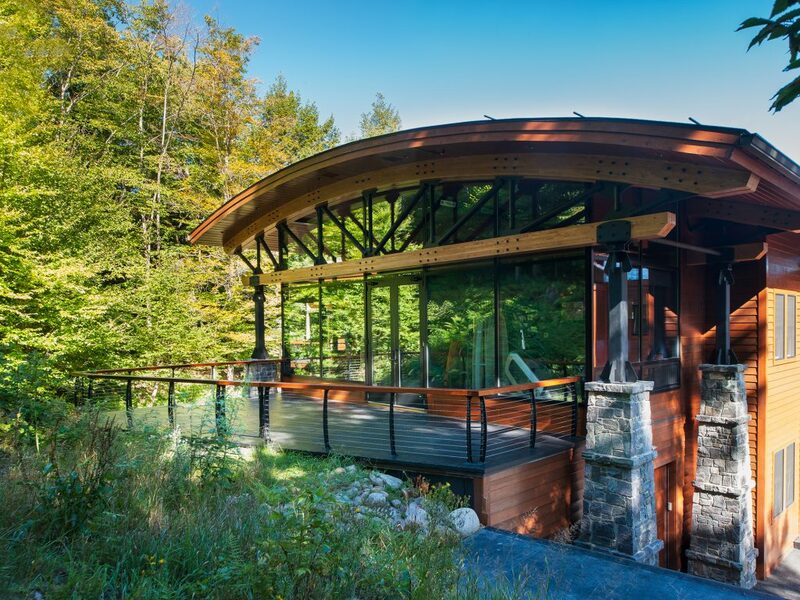 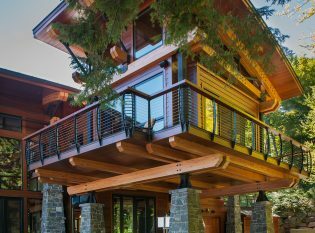 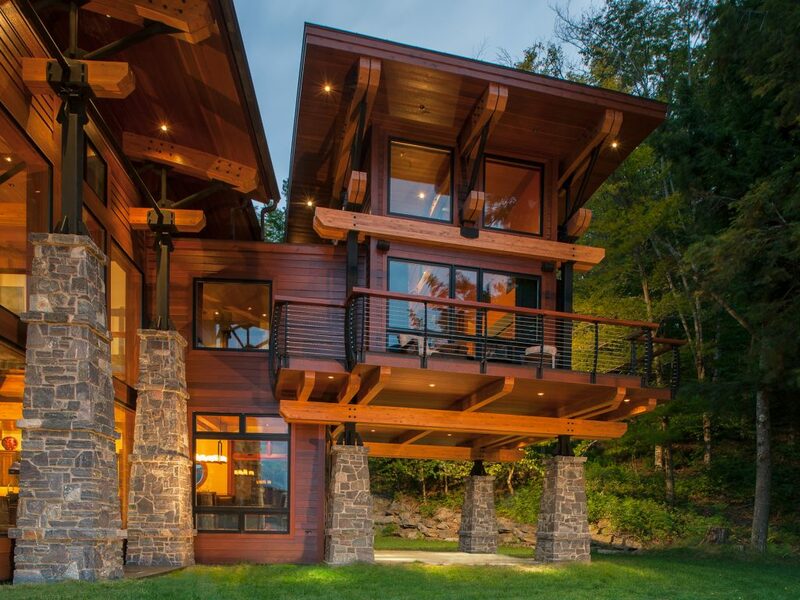 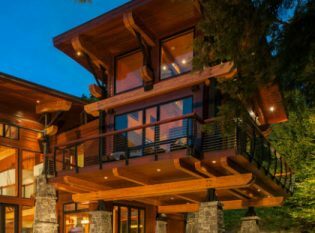 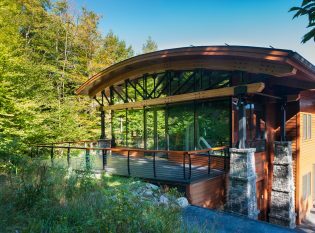 Its unique design features include the curved glulam roof beams, the great room with expansive windows to take in the breathtaking view of the lake, a deck built into the hillside that leads to an indoor gym, and the exposed timbers with steel supports and stone columns.